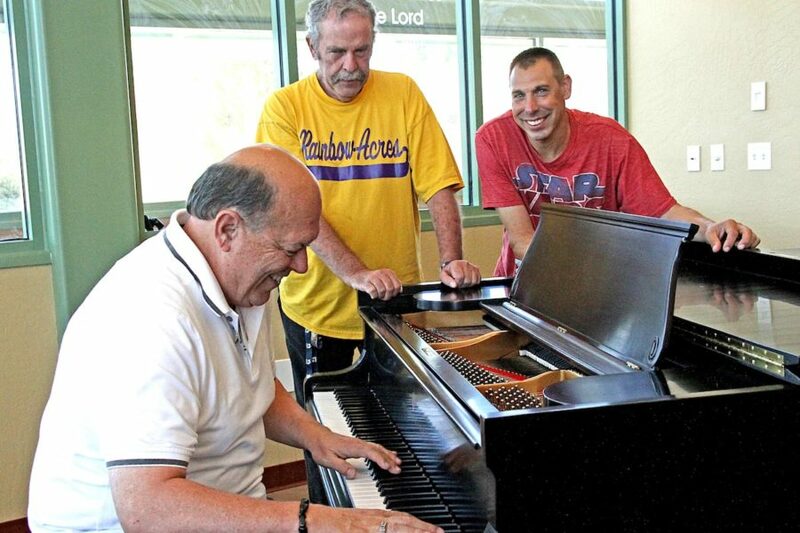 Therapists have long known the benefits of music for people with developmental disabilities. Music provides tremendous joy and a means for self-expression, stimulation and relaxation for our Ranchers. It also helps to strengthen cognitive ability, enable social interaction and improve concentration. 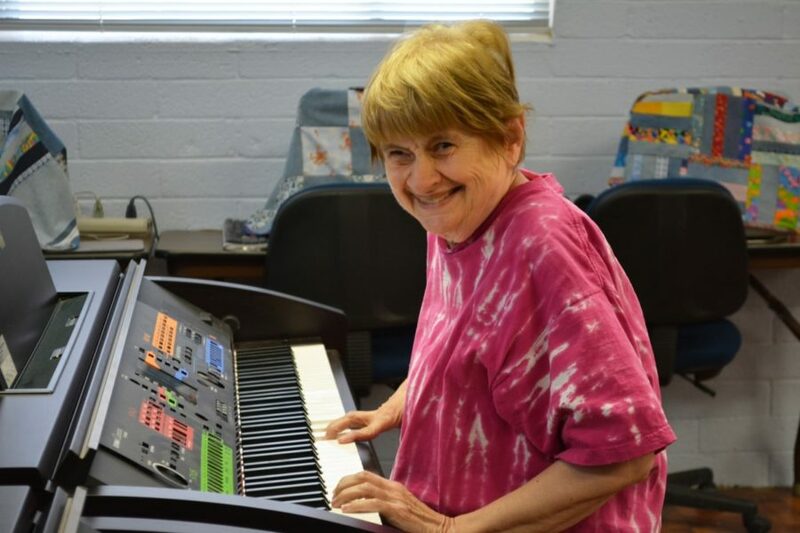 Rainbow Academy’s Music Therapy program offers courses and activities that appeal to the musical interests and desires of our Ranchers, from those who wish to explore music on their own terms to those who want to perform as part of a larger group. 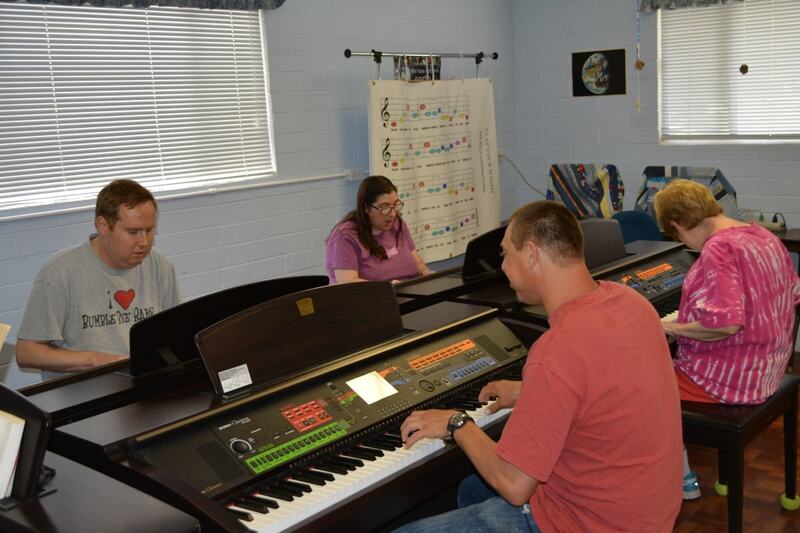 The Yamaha Clavinova Connection class allows Ranchers to play music on programmable digital pianos. Participants can participate alone or as a group, playing different but coordinated parts to make beautiful music together. Keys light up to show the users which notes to play and when to play them. This course helps Ranchers learn about music, engage in a confidence-building experience, and relieve stress as they follow the musical patterns. Led by a professional musician, the choir is a favorite activity for Ranchers who love to sing. 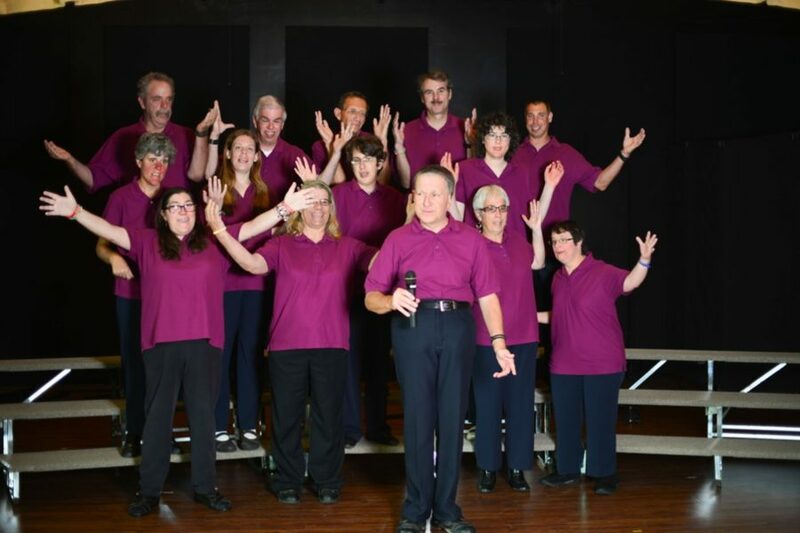 The choir program includes vocal training, with practices multiple times each week. 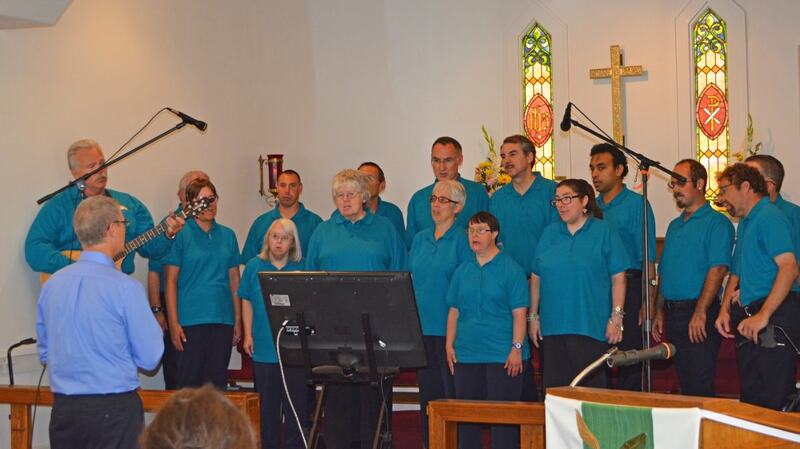 The Rainbow Acres Choir performs on the ranch for special events and also travels to perform upon request. 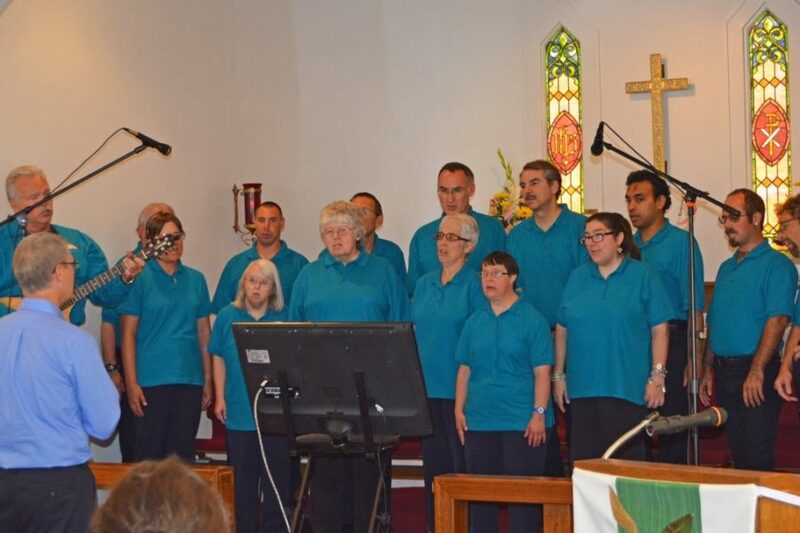 Over the years, the choir has performed throughout the southwest and across the United States at church services, Special Olympics competitions and other events. Drum Circle is a popular activity that encourages even the most hesitant participants to pick up an instrument and join the group. 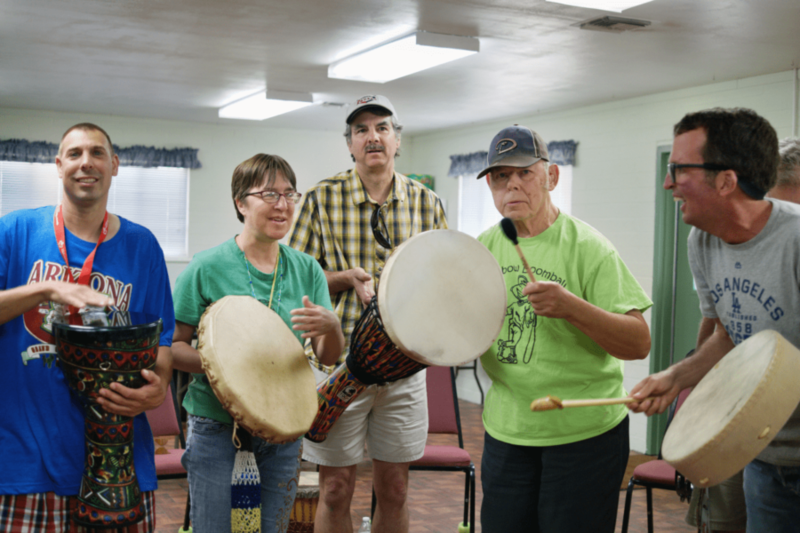 With a variety of drums and percussion instruments, the group shares its spirit as an ensemble, empowering each other as they celebrate community and life through musical rhythm. Invariably, everyone has something creative to offer.